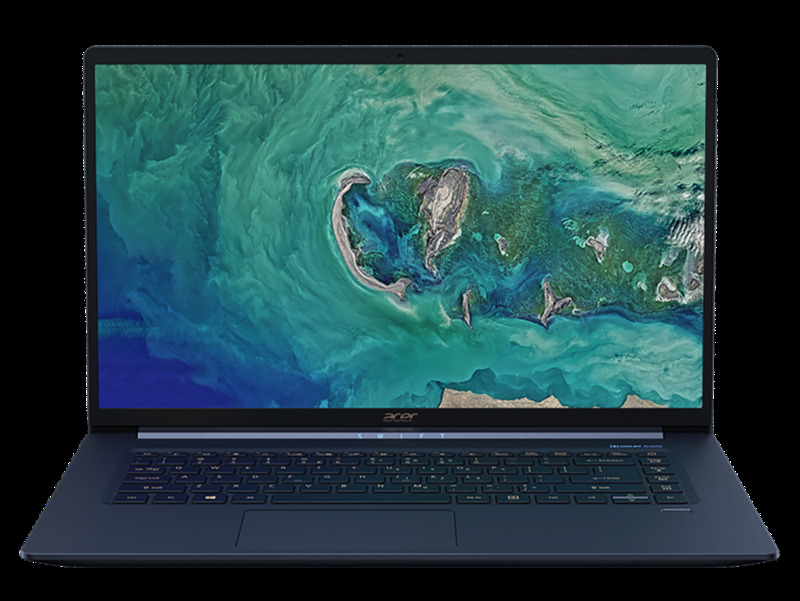 BERLIN, GERMANY (August 29, 2018) – Acer today announced the pricing and availability of the Swift 5 (SF515-51T) notebook, the world’s lightest notebook PC with a 15-inch display[iii]. Designed for discerning customers who want an envy-inducing PC, the Swift 5 delivers exceptional performance in an elegant chassis that weighs less than one kilogram (990 g/2.2 pounds). 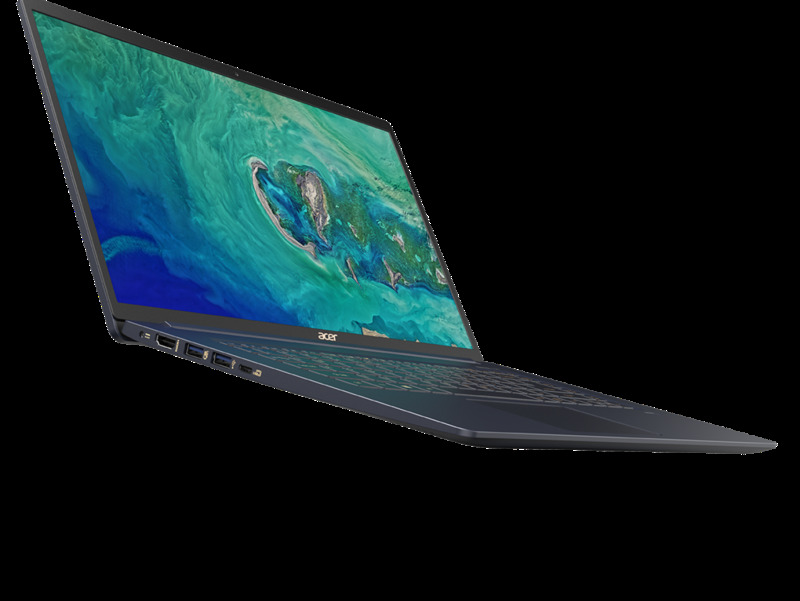 The Swift 5 (SF515-51T) is powered by the latest 8th Generation Intel™ Core™i7-8565U and Core i5-8265U processors to deliver responsive performance and up to 10 hours[iv] of battery life for day-to-night productivity. 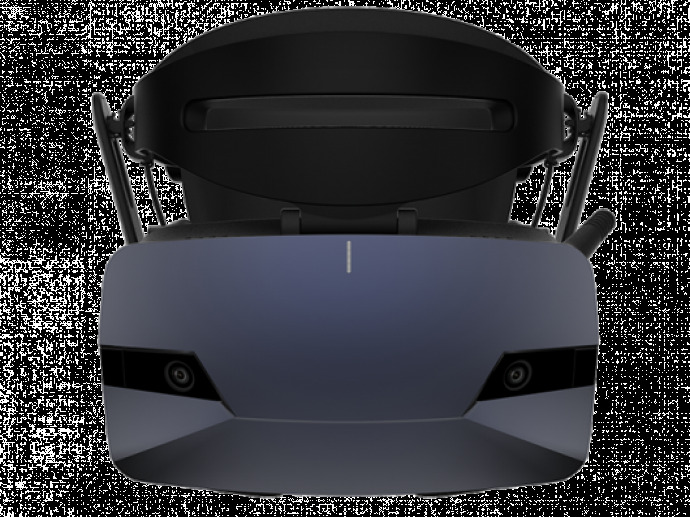 Running Windows 10, the new Swift 5 is a large-screen productivity powerhouse. 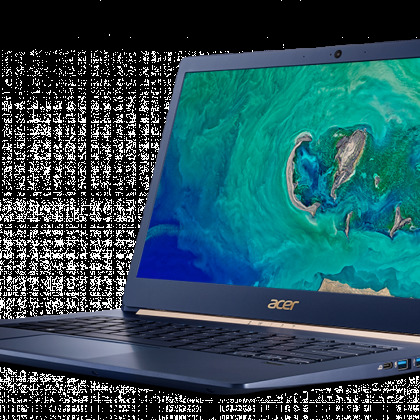 Outfitted with a 14-inch Full HD display, the elegant chassis on the Swift 5 (SF514-53T) weighs only 970 grams (2.14 pounds) and measures only 14.9 mm (0.59 inches) thin, making it the right device for people on the go. 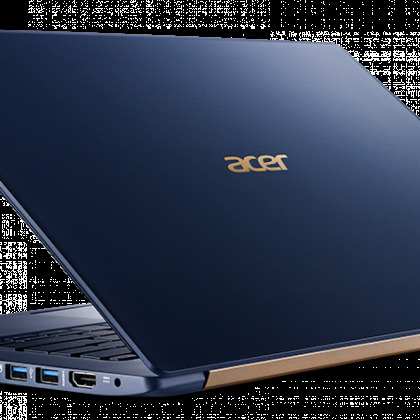 It sports a similar design to the 15.6-inch model that is both ultra-light and sturdy—built with a magnesium-lithium alloy construction for the top and bottom cover and a magnesium-aluminum alloy palm rest. The Full HD IPS1touchscreen is surrounded by narrow bezels of just 9.32 mm so customers can get the most from what’s on their display. 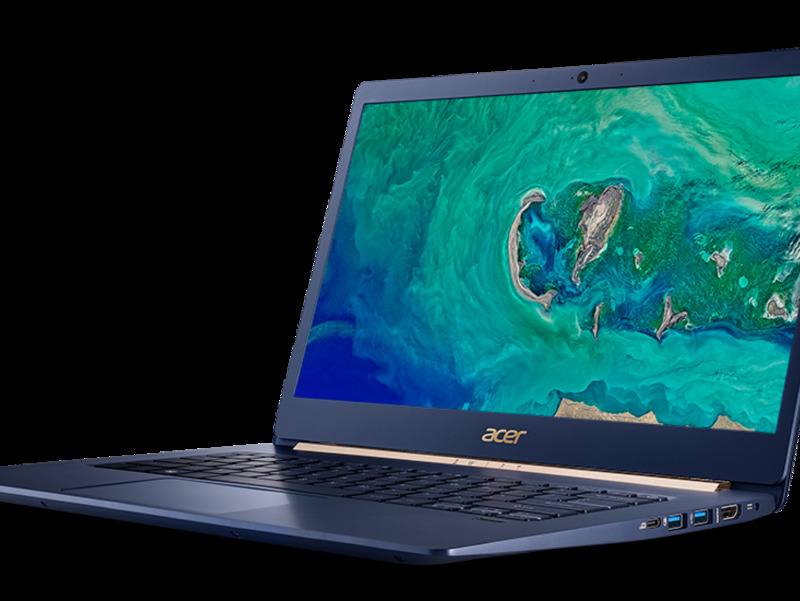 The Swift 3 (SF314-55/SF314-55G) packs a full HD 14-inch display into a 1.4 kg (3.08 pounds) design that measures only 14.9 mm thin (0.59 inches) and has super-thin 6.1 mm side bezels. 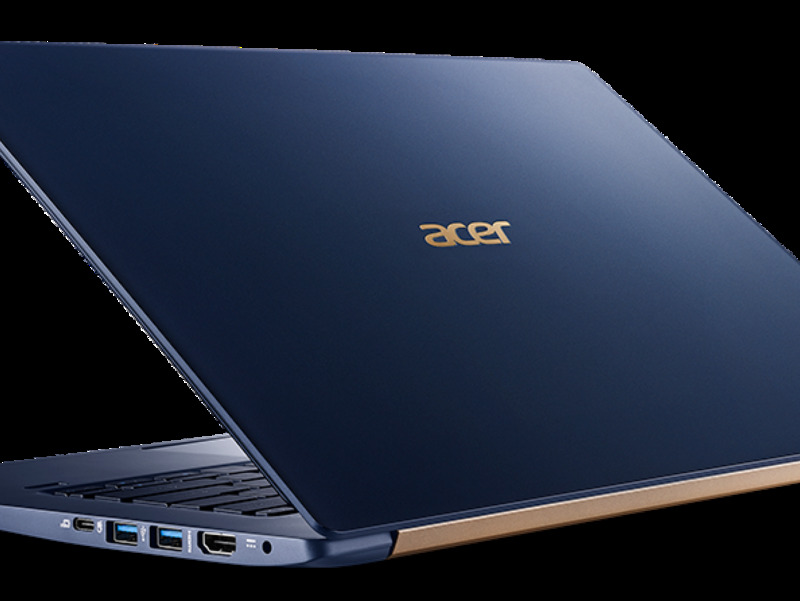 Powered by the latest 8th Gen Intel Core i7-8565U/i5-8265U/i3-8145U processors, up to 8GB of DDR4 RAM and up to 512GB PCIe NVMe SSDs, the system is speedy and delivers 12 hours4 of battery life. 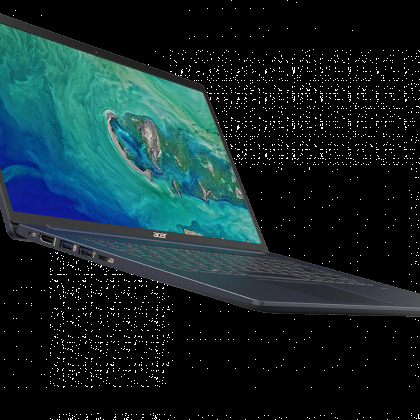 Plus, it provides the option for discrete NVIDIA® GeForce®MX150 graphics, so customers have the power they need for more computing-intensive tasks such as editing video and casual gaming. 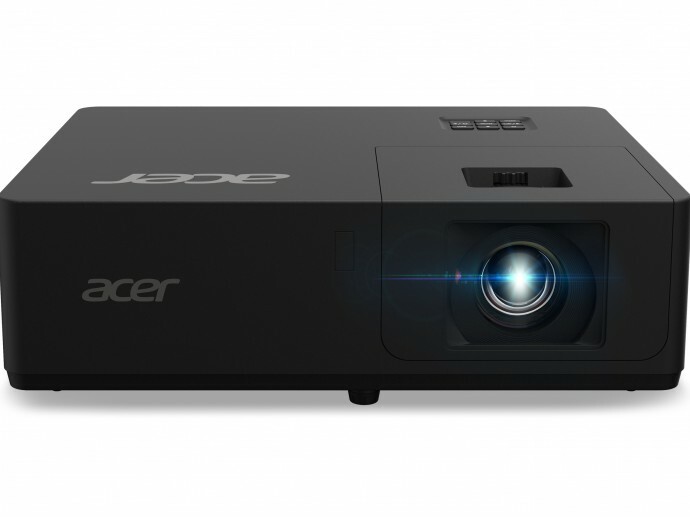 Users can stay connected with 2x2 802.11ac Gigabit WiFi and use the system’s USB 3.1 Type-C Gen 2 port for high-speed 10 Gbps data transfers, powering delivery, as well as display output. This email contains information that is for the sole use of the intended recipient and may be confidential or privileged. 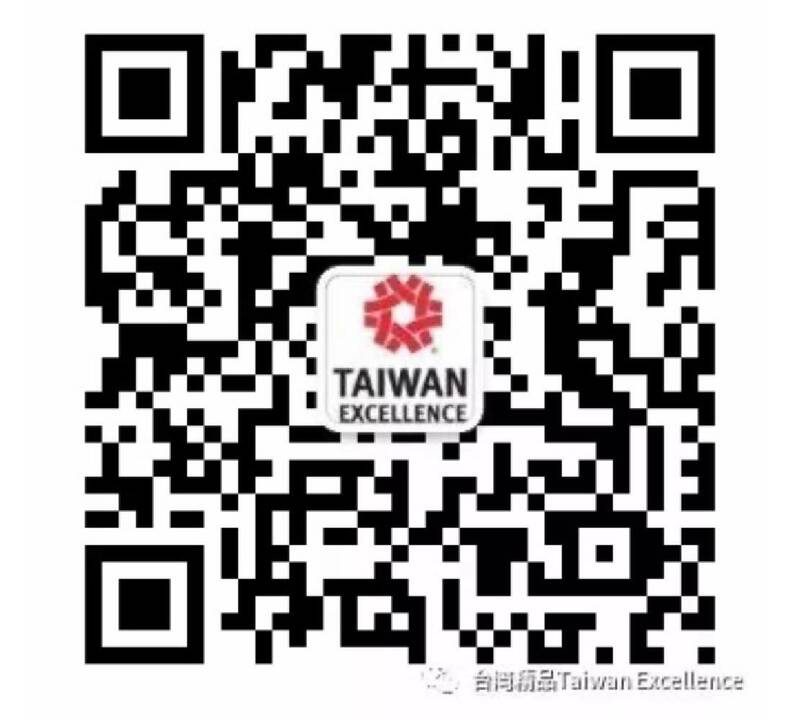 If you are not the intended recipient, note that any disclosure, copying, distribution, or use of this email, or the contents of this email is prohibited. If you have received this email in error, please notify the sender of the error and delete the message. Thank you.